For over 75 years, the firm of Cooney, Scully and Dowling has provided legal services in Connecticut. We are convinced that our longevity is a reflection of our collegial approach and the shared commitment of our attorneys and staff to both quality and integrity. Our success is based on a few simple principles. First, in litigation, opposing parties, opposing counsel, and judges know that the firm's attorneys are capable, well prepared, and willing to see matters through to a successful conclusion, including when necessary a trial and appeal. Second, we understand our clients' desires to complete matters in a cost-effective manner and we work closely with our clients to be sure that each file is handled appropriately. Finally, we recognize that a good lawyer sees beyond a client's legal problems and endeavors always to provide sound, practical, appropriate advice. Cooney, Scully and Dowling works with small businesses including partnerships, corporations, and limited liability companies, from conception to dissolution and all phases in between. We assist clients in meeting legal requirements and obtaining licenses, registrations, and approvals, where necessary. Our attorneys represent business organizations in connection with real estate transactions, business contracts, and employment agreements, including non-compete agreements. We work with employers in labor negotiations and policy and handbook drafting and provide legally required sexual harassment training. Eugene A. Cooney ("Gene") joined Cooney, Scully and Dowling in 1977. He practices in the area of civil litigation with an emphasis on the defense of medical malpractice cases. He counsels health care providers on a wide range of issues and represents them at trials in the state and federal courts as well as in administrative proceedings before the Connecticut Department of Public Health. He also represents a number of major hospitals in the state of Connecticut in both litigation and non-litigation matters. In addition to being one of the most active trial lawyers in the state of Connecticut, Mr. Cooney also maintains a practice in the area of professional liability insurance law and serves as General Counsel to The CMIC Group. Throughout his legal career, Mr. Cooney has represented numerous Connecticut physicians and hospitals in medical malpractice cases covering virtually every medical specialty. He has tried almost 100 cases to jury verdict. Many of these have been medically complex cases in the fields of obstetrics and gynecology, neurosurgery and other high risk specialties. 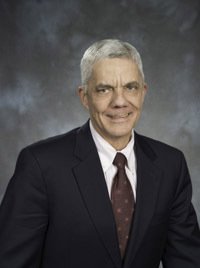 Mr. Cooney has appeared before the Connecticut Supreme Court and Connecticut Appellate Court on many occasions. Most recently he prevailed before the Connecticut Supreme Court in what is now one of the leading cases in the country on the limitation of a physician's duty to third parties. Jarmie v. Troncale, 306 Conn. 578, 50 A.3d 802 (2012). His notable appellate victories also include a leading case limiting the admissibility of unscientific expert testimony in medical malpractice cases. Maher v. Quest Diagnostics, Inc. 269 Conn. 154, 847 A.2d 978 (2004). Mr. Cooney is a member of the American Health Lawyers Association, the Connecticut Defense Lawyers Association (Past President 1997-98), the Connecticut Medical Defense Lawyers Association, the Connecticut Bar Association and the Hartford County Bar Association. He is an Advocate level member of the American Board of Trial Attorneys and is rated AV Preeminent by the Martindale-Hubbell Peer Review Ratings system. He is a panel defense counsel for every major medical malpractice insurer in the state of Connecticut and he lectures regularly to health care providers on medical-legal matters.